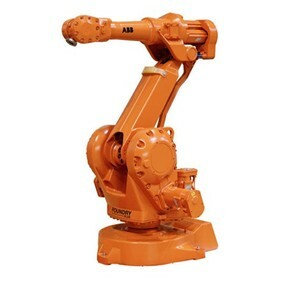 Available in our stock as a Refurbished robot. IRB 1400 is a 6-axis industrial robot, designed specifically for manufacturing industries that use flexible robot-based automation. The robot has an open structure that is specially adapted for flexible use, and can communicate extensively with external systems. The robot is equipped with an operating system called BaseWare OS. BaseWare OS controls every aspect of the robot, like motion control, development and execution of application programs communication etc.